In recent years, the emerging field of transformation optics has been shown to be a powerful design tool for a variety of innovative and new optical elements. In this design process, the inverse problem of electromagnetism can be addressed: If a certain functionality of a device is needed, what materials should it be composed of? Once the desired “path” that light should take inside the device is established, the mathematical rules of transformation optics dictate the optical parameters (electric and magnetic response) of the material. Fig.1: (click on the image to see higher resolution version) Numerical raytracing calculations showing (a) a room with mirror on the floor, (b) with an additional bump (outlined in green) and (c) with the cloaking structure on top (outlined in red). A thrilling possibility that arose alongside these new design options is the fact that light can now be guided around objects. The light wave will “flow” around an object, just like water around a rock, and reform afterwards. Since there is no interaction between the light wave and the central region (the “rock”), this region will become invisible to an external observer. Such invisibility cloaks have high demands on the optical parameters (inhomogeneity, anisotropy), which makes them challenging to fabricate. Nevertheless, the proof of concept has been shown in the microwave regime . In 2008, Jensen Li and Sir John Pendry proposed a different approach to invisibility . Suppose an object would be hidden under a reflecting mirror, the resulting bump could be seen in the distortions of the reflected image. By building a so-called “carpet cloak” on top of that bump, these distortion disappear since the light waves are guided such that an observer perceives a flat mirror – the bump and the object are effectively invisible. This design has relaxed requirements on the optical parameters of the material, whereby “only” a spatial distribution of an isotropic refractive index is needed. This makes it very interesting for experiments [3,4]. Although originally designed to work in a purely 2D scenario, we could show with numerical raytracing calculations  that one still expects a cloaking effect at angles out of the design plane. Following this theoretical work, we built the carpet cloak as a full 3D structure by means of Direct Laser Writing (DLW). Here, a photo resist is illuminated by a focused laser beam. Just like a pencil tip, the laser focus can “write” a programmed three-dimensional structure into the resist. After development, the non-illuminated parts of the resist are washed out and the written 3D polymer structure remains. Fig.2 : Gold film with bump and invisibility cloaking structure (woodpile photonic crystal) on glass substrate. We realized the needed refractive index distribution for the carpet cloak by using a woodpile photonic crystal . It is composed of small polymer rods with a distance of 800 nm, whereas the size of the rods changes locally. This leads to a spatially varying filling fraction of polymer and air, which controls the refractive index. The structure is coated with a thin gold film (the “carpet”). We measured the cloaking device with an experimental setup similar to an optical microscope: The sample is illuminated with unpolarized light from an incandescent lamp and a microscope objective images and magnifies the structure onto an image plane. This plane is scanned with the tip of a glass fiber, which ends in a Fourier Transform Infrared Spectrometer. By scanning the glass fiber across the magnified image, we can measure a cross-section of the structure and simultaneously acquire the full spectrum at every position. The cloaking effect was observed from 1.4 µm to 2.7 µm and spans almost one octave. Furthermore, it is expected to still work on even longer wavelengths, since the effective medium condition (wavelength has to be larger than local nanostructure) still holds and the polymer does not show strong absorption. In the measured interval, the visibility of the bump was drastically reduced. With this experiment, we have taken a first step to bring the concepts of transformation optics into the third dimension. Furthermore, wavelengths at which cloaking is observed (near infrared) are close to the visible wavelength regime. D. Schurig, J.J. Mock, B.J. Justice, S.A. Cummer, J.B. Pendry, A.F. Starr, D.R. Smith, "Metamaterial Electromagnetic Cloak at Microwave Frequencies", Science 314, 977(2006). Abstract. J. Li, J. B. Pendry, "Hiding under the Carpet: A New Strategy for Cloaking", Phys. Rev. Lett. 101, 203901 (2008). Abstract. 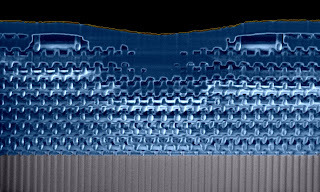 J. Valentine, J. Li, T. Zentgraf, G. Bartal, X. Zhang, "An optical cloak made of dielectrics", Nature Materials, 8, 568 (2009). Abstract. 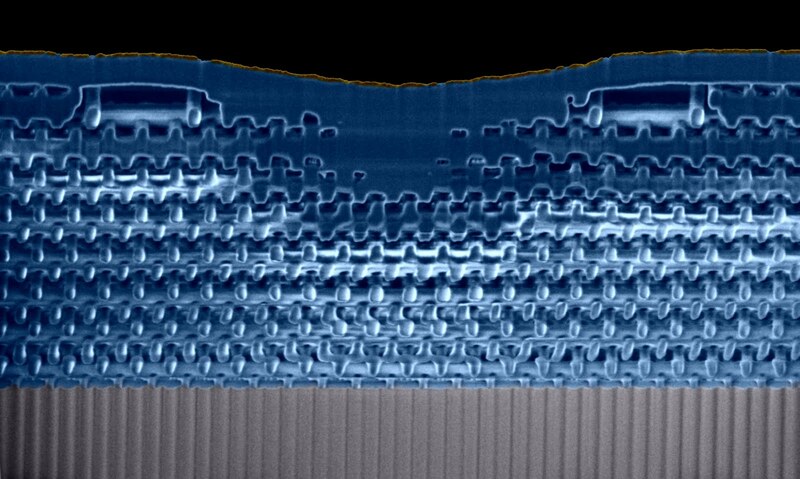 L. H. Gabrielli, J. Cardenas, C. B. Poitras, M. Lipson, "Silicon nanostructure cloak operating at optical frequencies", Nature Photonics, 3, 461 (2009). Abstract. J. C. Halimeh, T. Ergin, J. Mueller, N. Stenger, M. Wegener, "Photorealistic images of carpet cloaks", Optics Express, 17, 19328 (2009). Abstract. 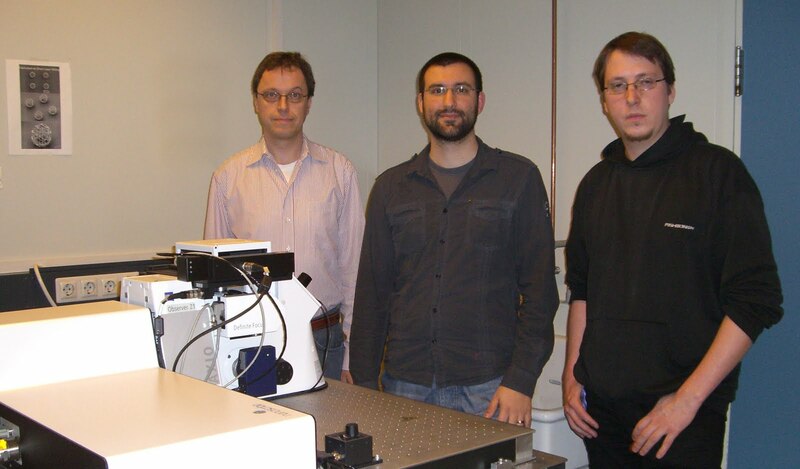 Tolga Ergin, Nicolas Stenger, Patrice Brenner, John B. Pendry, Martin Wegener, "Three-Dimensional Invisibility Cloak at Optical Wavelengths", Science, in press, (Published Online March 18, 2010 Science DOI: 10.1126/science.1186351). Abstract.